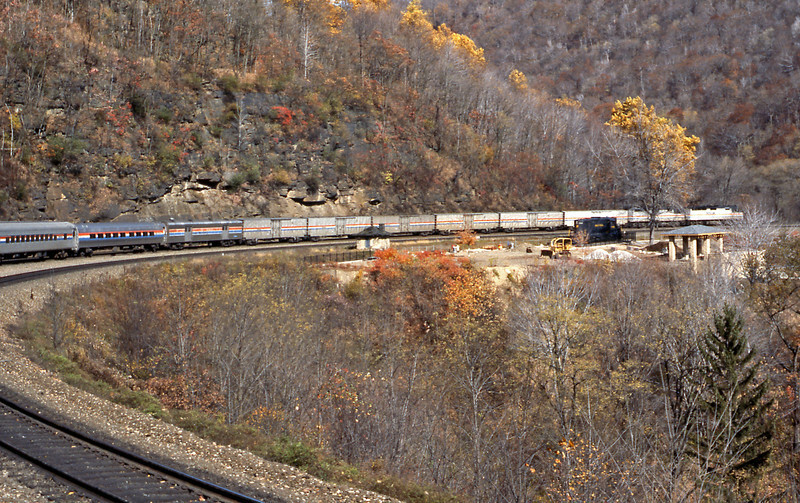 After the gloom of Chicago the morning of Day 3 saw me leaning out of the dutch door of my 10-6 sleeper as the Broadway Limited rounds Horseshoe Curve on the descent to Altoona. Horseshoe Curve visitor centre was closed for rebuilding. The consist of the Broadway included six Materials Handling Cars (MHC) up front carrying mail.